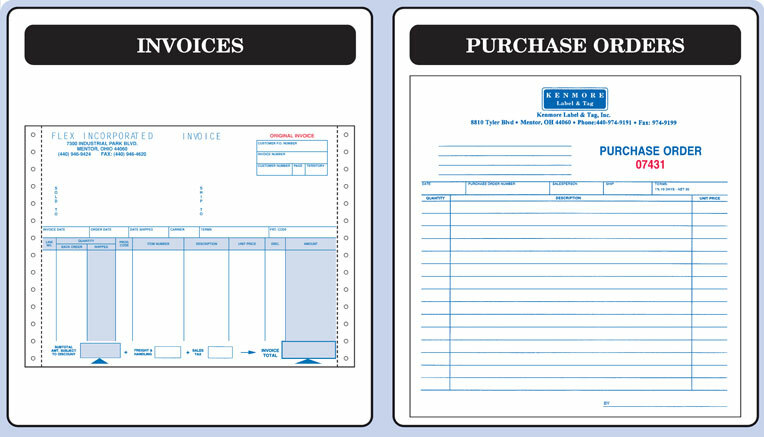 Our Complete Line of Business Forms include invoices, purchase orders, statements, packing lists and shipping documents. 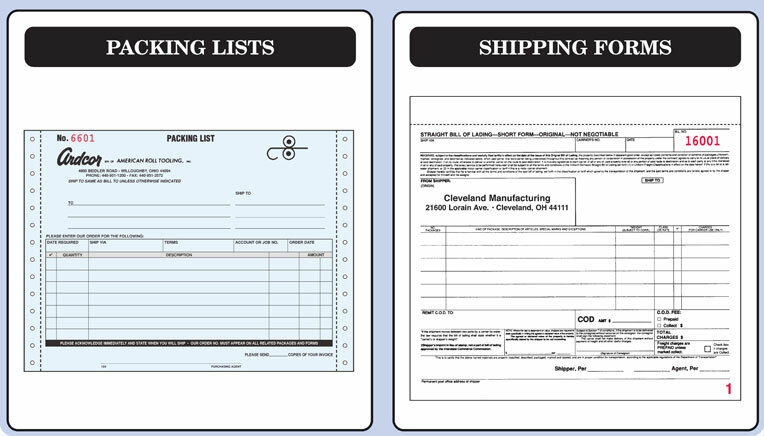 Other form options include: continuous, snap-out, 1-5 part, company name and logo, perforated, carbon or NCR and consecutive numbering. Be sure to ask about our 6 Month "Make & Hold" program which provides your company additional savings and convenience. 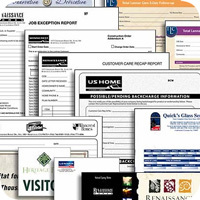 Minimum quantity is usaully 1000 forms. Price breaks occur at 2,500, 5,000, 10,000, 15,000, 20,0000 and 25,000 forms. Call Toll Free at (855) 498-7170 and we'll provide a prompt, competitive quote based upon your requirements.